Movie: "I Am the Pretty Thing That Lives in the House"
A hospice nurse moves into the haunted home of an aging author suffering from dementia. 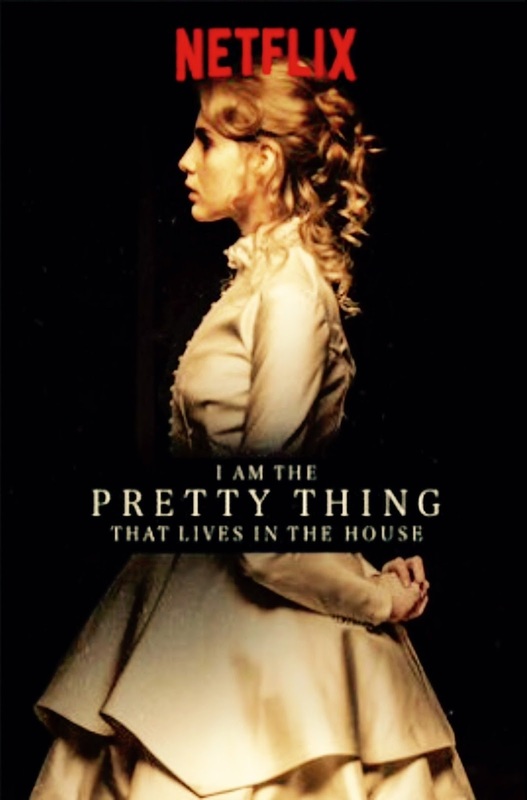 Written and directed by Oz Perkins, "I Am the Pretty Thing that Lives in the House," besides having an absurdly long title, is a Gothic-style ghost story. It is about a hospice nurse named Lily, played by Ruth Wilson, who takes a job working for the estate of an aging author with dementia named Iris Blum, played by Paula Prentis. One of Iris's novels was about a girl named Polly, played by Lucy Boynton, who once lived in and now haunts the house. It isn't long before Lily starts to be tormented by Polly's ghost. This film is meant to be a slow burning haunted house movie. Most slow burners build tension to an ultimate payoff. Unfortunately, there is no payoff in "I Am the Pretty Thing that Lives in the House." Often times, movies that try to be unhurried and methodical like this one wind up being poky and boring, which is absolutely the case here. The vast majority of the story is told through voice-over narration by Lily. One of the first things she says is that she is 28 years old and she won't live to see 29. OK THEN! Turn the movie off and pack up the snacks, it's over before it begins! Because of this, we have to hope the ultimate payoff is something more than just her death, but nope. There are only one or two moments of genuine creepiness in the whole movie, and there isn't much tension to be had. Director Oz Perkins is trying to offer an artistic perspective, but nothing really works. Long, sustained shots of characters doing nothing isn't really artistic, it's just dull as hell. There isn't anything really visually striking about this flick either, nothing that makes it unique. Everything about it feels so conventional, so done before, so tired. There are far better slow burning horror films out there choose from, pick literally any other one and you'll be more satisfied than you would be watching "I Am the Pretty Thing that Lives in the House." This winds up being mundane and forgettable.